High altitude vineyards. Across the world, vineyards located in high altitude areas are rare. It is true that in the Caucasus or China there are a few, but in Europe and the Americas they are scarce, bar a few exceptions. 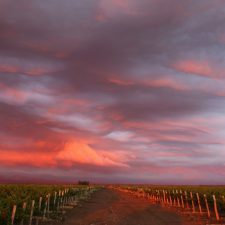 Argentina is one of these exceptions and boasts a third of its total surface area planted at a thousand metres or more with some vineyards located at 3.300 metres above sea level (10.800 ft). A record, of course, that stamps its character on a large part of Argentine wines, along a thousand kilometres of mountains. Desert and sun. Almost all of the vineyards are found in arid areas, in the shade of the Andes mountain range. As altitude defines part of the terroir and character of the wines, the desert, sun and extreme conditions define the other part. Purity. In the deserts at the foot of the Andes, in the mountain range itself, purity comes in the form of water, an essential requirement for life in the desert, through an extensive system of channels and ditches that carry fresh water from the glaciers right to the roots of the plants. Wine lovers. 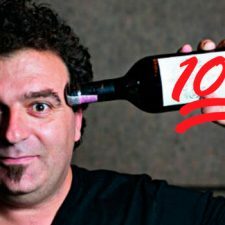 We Argentines love wine. In fact, if we’ve challenged the desert and the Andes to discover better terroirs, it is to find new and more daring flavours that stimulate our tastebuds. 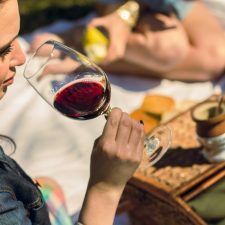 A little known fact is that Buenos Aires, the capital city, is second in worldwide wine consumption after Paris, while as a country we occupy an honorable seventh place. Long and short story. The passion that Argentines feel for wine is nothing new. In fact, we’ve been producing it here since the sixteenth century, first in an artisanal form and then, industrially from the 19th century. 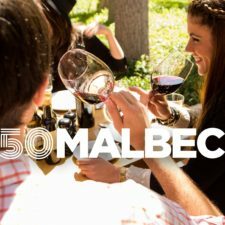 This explains why we are the fifth biggest producer of wines in the world and that we have developed our own styles, such as Malbec. However, we are only the ninth largest global exporter (with a 3% share), because we drink 8 out of 10 bottles. In 1990 it was 10 out of 10. Malbec by regions. One of the most interesting things about Argentine wine is the ability to compare terroirs, be it by altitude, soil or latitude. From the north, with regions such as the Calchaquí Valleys or Quebrada de Humahuaca, to the oases of Mendoza, such as the Uco Valley or Luján de Cuyo, and, further south, in Patagonia. 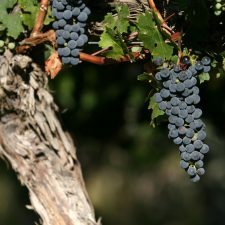 Malbec is a variety that offers many different flavours and styles. In each of these areas, it presents a different profile: there are full-bodied or light wines, those that smell of ripe red fruit and those that offer fresh and black fruit or floral notes, with different levels of freshness, and so on. Other varieties. But despite being the most planted red, Malbec is not the only one on offer in Argentina. 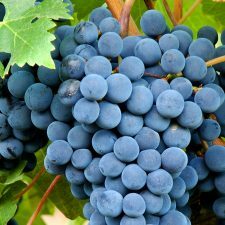 It is also possible to find a good number of other grapes, from Cabernet Sauvignon to Syrah, Tempranillo and Bonarda to Pinot Noir, and from Chardonnay to Sauvignon Blanc and Torrontés in whites. The interesting thing is that in each case, a multitude of varying terroirs stamps a different character profile on each variety. We invite you to discover more about other varieties in the following link. GI’s on the rise. On the topic of isolating flavours by region, since 1999, Argentina has been defining wine-growing zones by terroir criteria. By 2010, geographical indications that did not exist before on the wine map began to take shape: Paraje Altamira and Los Chacayes, in the Uco Valley, are some of the most spectacular, and many others are yet to arrive, such as San Pablo and Gualtallary, in the same mountain valley. The new producers. There is a group of young, up and coming producers between 30 and 45, who are defining their own styles for the future. They are doing it on the back of a couple of centuries of terroir development, whilst thinking about current market. So wines are beginning to emerge not only from extreme vineyards, but also with new techniques for this part of the world, such as orange wines, high-end red wines without ageing or ageing in foudres, the exploration of techniques like carbonic maceration, fermentation of whole grains or with stalks, among many others. Pre-phylloxera genetics. Something interesting for consumers of a trained palate is that Argentina has a pre-phylloxera genetic heritage. Most of the vines imported from Europe in colonial times and until the mid-nineteenth century are plants that later disappeared from the old continent. 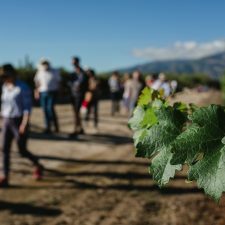 For researchers of varieties, the old vineyards of Argentina form a gene pool that guarantees a singularity of wines for the future. A bit nerdy, it must be said, but for knowledgeable drinkers it is a promise of old and new wines to be discovered.